If you are Mafia Wars gaming enthusiast, you definitely do not want to miss this information. Despite recent rumors about the profit and user Zynga who fell before the IPO, but this did not dampen Zynga steps to continue to deliver great service to its loyal gamers. Zynga who put great expectations on the Mafia Wars 2 with a more interesting story than its predecessor, has now released a digital comic. Mafia Wars 2 brings mystery since it was revealed last January. 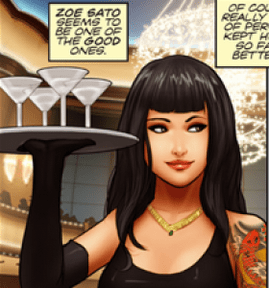 To further provoke the curiosity of the game that carries the tagline â€˜Being Bad Never Felt So Good â€œis, Zynga also launched a digital comic. Gamers can access these comics for free through this site. To do so, you need to? Like? First game on Facebook at first, and include a link comics on your Facebook account. Pretty easy, right? This comic was created by Udon Studio located in Toronto. Udon is known as the creator of the comic and art book based on Capcom property. More than 8-page comic book reveals some of the characters from the world, which is likely to appear in the game, and the story of how they fit into the criminal world in Las Vegas. 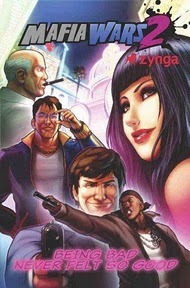 via Digital Comics | Zynga launches digital comic Mafia Wars 2 | Cumaini.